Did you know that you can make brownies using just one saucepan? It’s true! 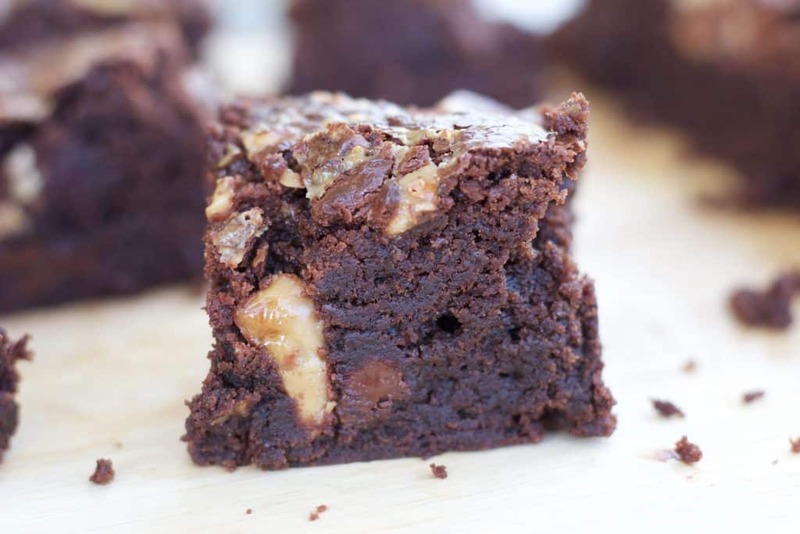 This is the easiest brownie recipe you will ever make. And it only gets one pan dirty to mix everything together. Can’t beat that! If you add heath bar pieces to make Heath Bar Saucepan Brownies, your friends and family will love you forever. 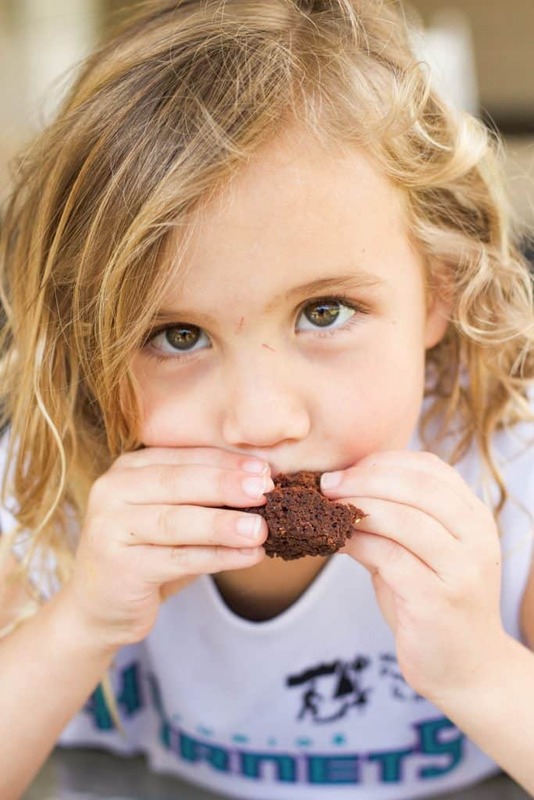 This super simple brownie recipe takes just a few ingredients. I first started making brownies this way when I was in high school and I have rarely strayed from the saucepan approach ever since. It’s just too easy to make them any other way! We like to change up the recipe a bit depending on what time of year it is and what I have in my pantry! For this batch, we went with heath bars! Yum. 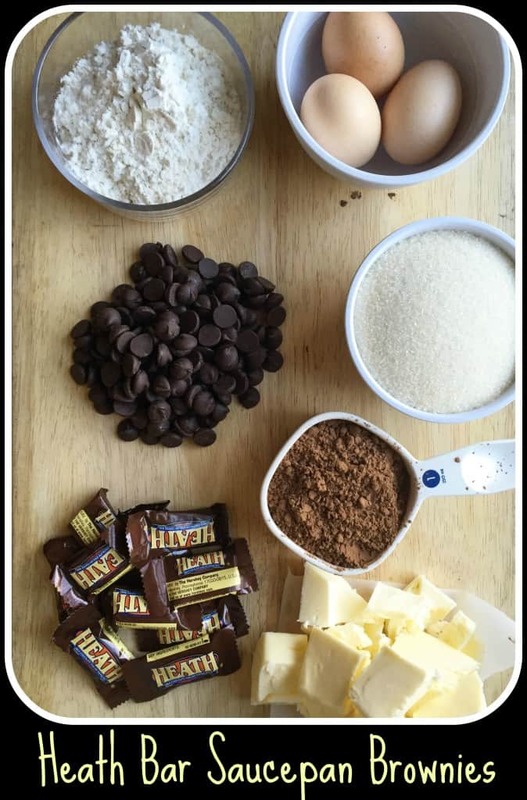 If you don’t have heath bars nearby, you can substitute chocolate chips or chopped chunks of chocolate. Still delicious! 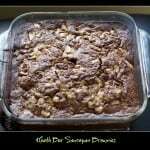 These decadent Heath Bar brownies are great for dessert but they also pair well with coffee for breakfast… 😉 Enjoy! 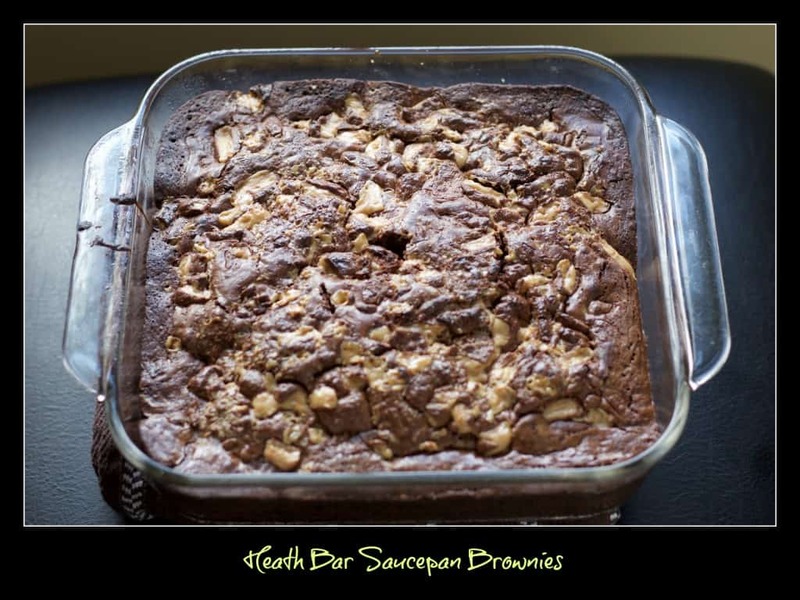 One pot is all you need to mix up these amazing heath bar saucepan brownies. In a medium sized saucepan, combine the sugar and butter over medium heat. Stir with a wooden spoon or heat resistant spatula. When the butter has melted, add the vanilla. Stir. Set aside to cool for about five minutes. Add 3 eggs. Stir well to combine. Add 1 cup flour, 1 cup cocoa powder, salt and baking powder. Stir well. Spread in a greased 8x8 pan. Gently spread heath bar pieces over the top. Cook at 350 degrees for about 30 to 35 minutes. I’m going to have to try this. Looks yummy! These look fantastic. I wish it weren’t so late, so I could go out to the store and get the ingredients! 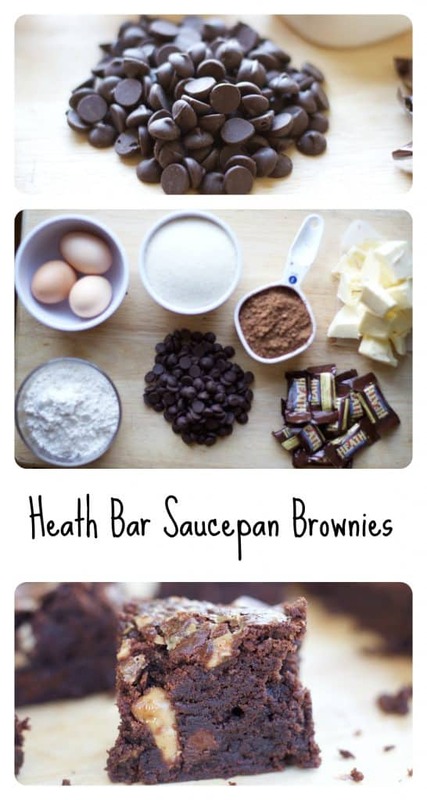 as if brownies weren’t amazing enough as it is, now you add the great texture of Heath bars to it? absolutely decadent & amazing. Thanks, Gillian! Definitely a great kid cooking project. Yes please!!! This looks so delicious! I can’t wait to try making it! Thanks, Samantha!! They are delicious! My husband loves heath bar! I am definitely going to make these for him!! Yum! At Tulane, a friend used to make brownies and top them with white chocolate and chopped up heath. I might need to add white chocolate to yours and do the same. I am making used to take to a friend’s house for Thanksgiving. I am also going to have white chocolate chips to the top and the mix. Fact that they are gluten free it’s so helpful because several of the guests cannot eat gluten, but need to remember they are not sugar free or Butterfree so I must make sure not to eat more than one! It will be a challenge. White chocolate sounds delicious in this! Let me know how it turns out!